Email templates feature is useful in case you need to send an email during campaign but don’t want to type message manually for every contact. 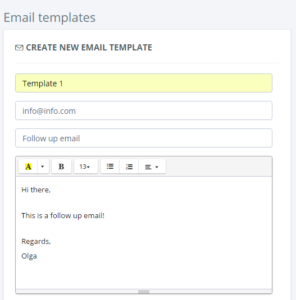 Enter template name, email from which the template will be sent, subject and the message itself. If you’d like to call client by his first name in the email type %Firstname% and the system will automatically assign contact name to your letter. For instance, if the first contact name is ‘Julia’, the second contact name is ‘Jack’, etc the email will say ‘Hi Julia’ and ‘Hi Jack’ appropriately. 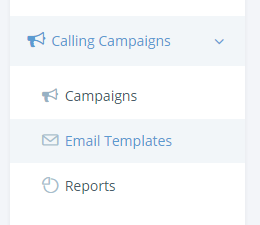 After the template is ready just choose it in calling campaign and press ‘Send Mail’ button when needed.